Acquiring the proper space for outdoor equipment storage can be difficult. 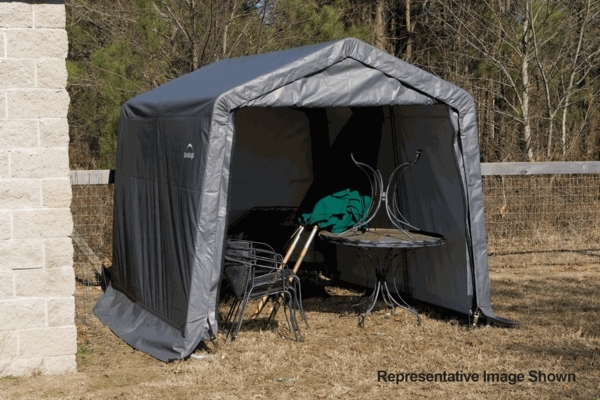 This outdoor portable shelter from Shelter Logic provides the perfect solution for your outdoor storage needs. 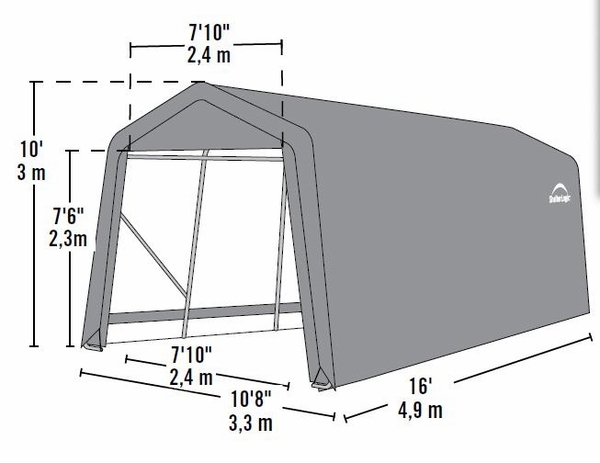 The shelter's frame is made of durable steel that has is powder coated with a DuPont thermoset finish that is resistant to corrosion. The cover is made of an extremely tough commercial grade 9 oz woven polyethylene that has been UV treated for maximum protection from sun damage.